This time the performance will be in two spaces; therefore, students will perform without microphones. We dedicate this show to Hugo Jamieson who was a member of the Advanced Drama class. Tickets are 500cfa for students and 1000cfa for adults. 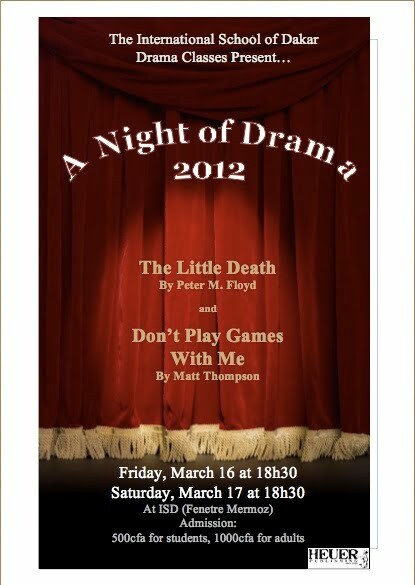 The two shows combined will last a little less than two hours including intermission when the seniors will sell refreshments.